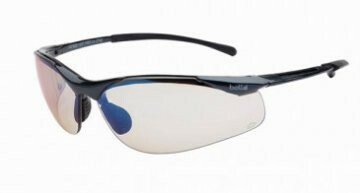 Bolle Prowler safety glasses 1626403 or 1626403 respectively for the silver or blue flash lens. These medium impact safety glasses double as sunglasses easily. Order your new safety glasses online today! 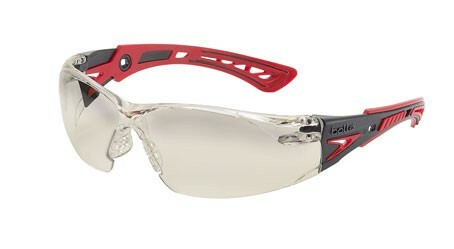 Bolle Prowler safety glasses are comfortable to wear. They have a wrap around lens design. 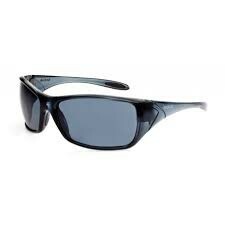 They make excellent medium impact AS/NZ 1337 safety sunglasses. Or even just sunglasses, that are super impact resistant. Order your new Bolle Prowler safety glasses online. Bolle Voodoo Safety Glasses with smoke 1652702 or brown 1652705 lenses.